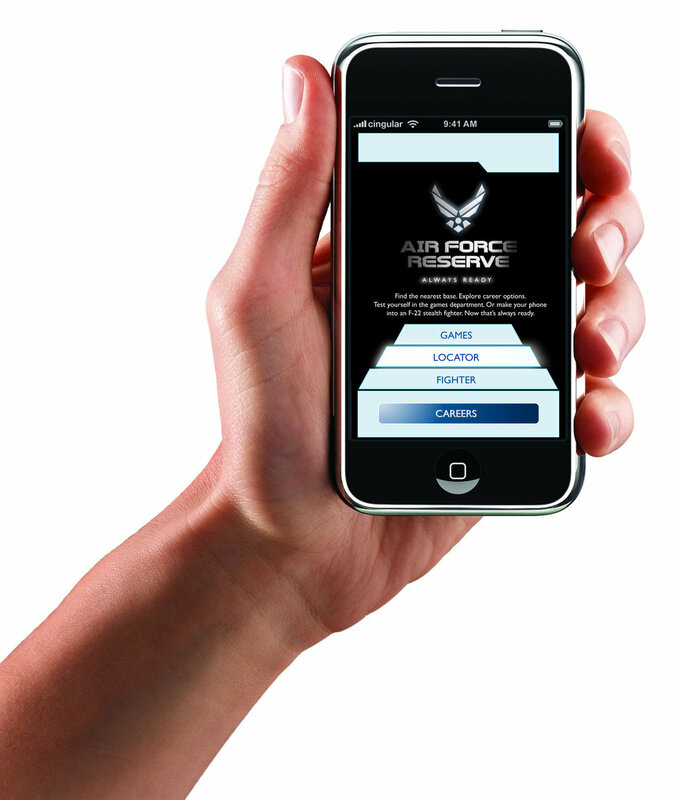 The Air Force Reserve wanted to refresh their recruitment efforts with a special focus on attracting pilots, mechanics, women, and technical specialists. 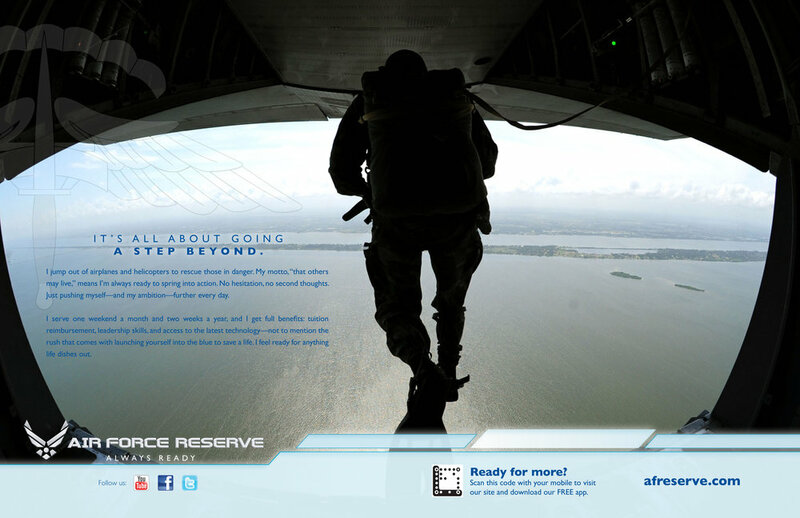 We developed a campaign around the concept of “Always Ready” to highlight the mission of the Air Force Reserve, as well as the honor and dedication of those who commit a weekend a month and two weeks per year to serve their fellow citizens in times of need. 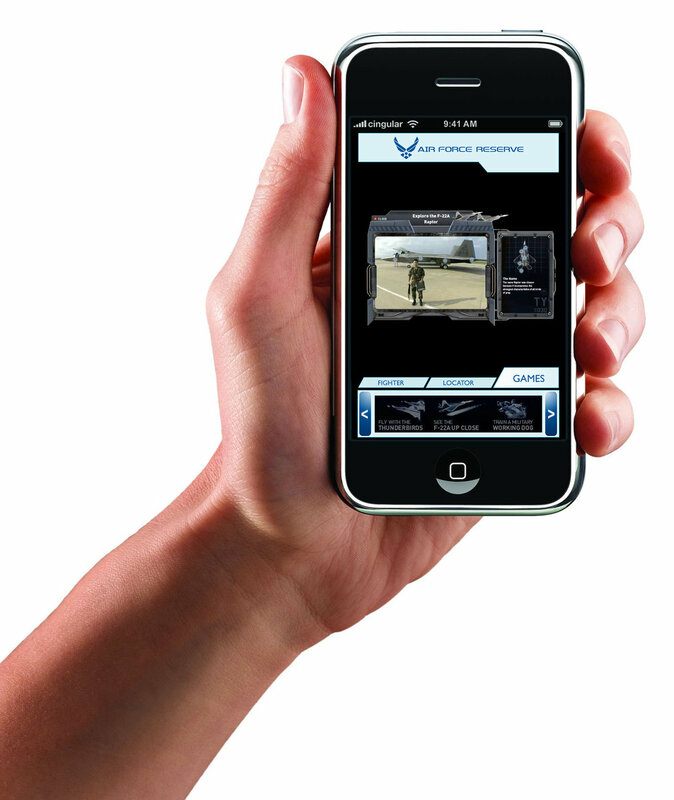 Our concept pairs dramatic imagery with powerful copy to generate excitement in potential recruits and encourage them learn more about the opportunity to serve in this unique capacity. To tap into new audiences, we developed the materials for a mobile recruiting bus that traveled the country, visiting major music festivals and large sporting events (think X Games). 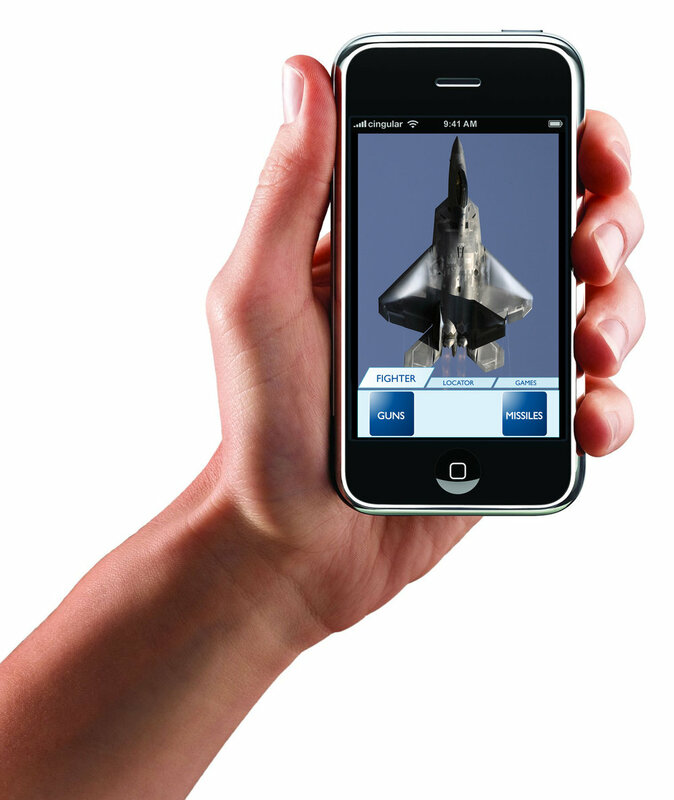 We also created a fun cellphone app that featured games, nearby locations, and a virtual fighter plane simulator, plus links to open career opportunities within the Air Force Reserve.